BMW has combined its racing heritage with luxury design to create the new BMW 8 Series. Launching at Rybrook November 2018, initially as a coupé model, it has been developed in parallel with the new BMW M8 GTE, which entered the legendary 24-hour Le Mans 2018 race. Typically, BMW will develop cars for the road and then customise these for the racetrack; however, for the first time ever, the BMW 8 Series was approached differently. BMW M Motorsport engineers and production engineers worked closely together in the development process. This combination of racetrack performance and lavish quality delivers an experience that is nothing short of breath-taking. 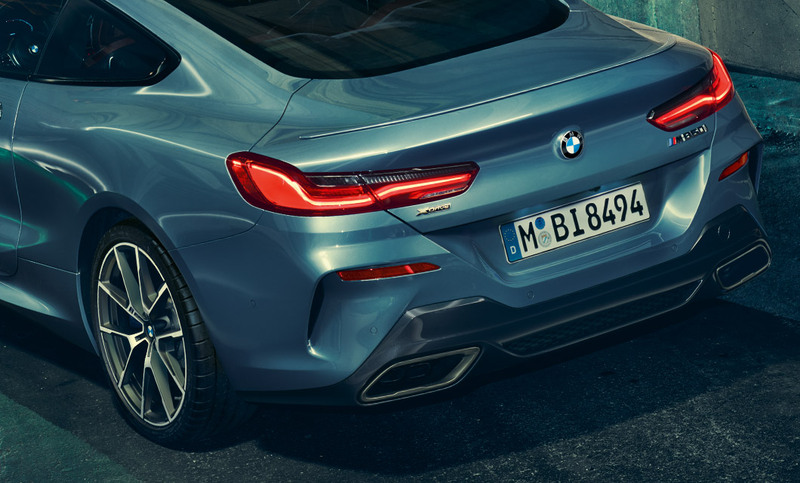 The new BMW 8 Series embraces its racing DNA with new multifunctional sport seats and driver-orientated centre console. Luxurious features elevate this experience, including ambient interior lighting, harman/kardon loudspeaker system, frameless rear view mirror and the CraftedClarity Glass Application, which can be found on the gear lever and other driver controls. 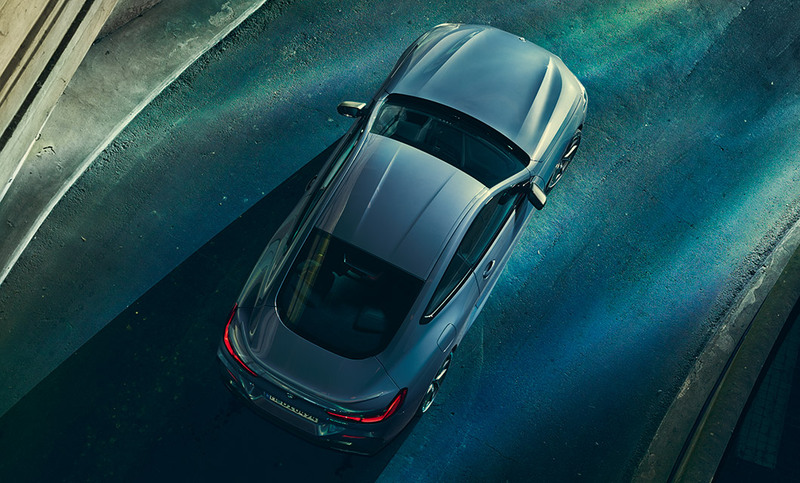 The new BMW 8 Series embraces its racing DNA with new multifunctional sport seats and driver-orientated centre console. Luxurious features elevate this experience, including ambient interior lighting, harman/kardon loudspeaker system, frameless rear view mirror and the CraftedClarity Glass Application, which can be found on the gear lever and other driver controls. The revolutionary new Operating System 7.0 ushers in a suite of intuitive and personalised controls. With the new BMW Live Cockpit Professional, The New BMW 8 Series offers driver-centric controls, with a stunning 10.25" touchscreen information display and a fully digital 12.3" instrument cluster. 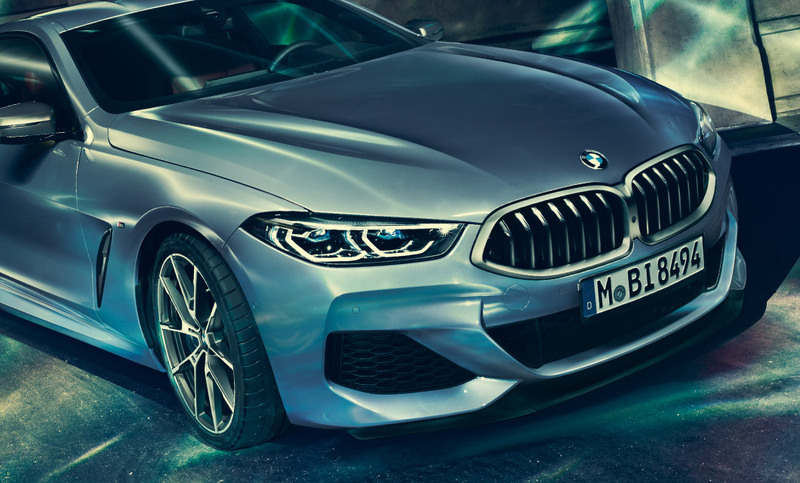 To match its incredible performance, the new BMW M850i xDrive has head-turning M Performance details. The BMW 8 the exclusive 20" alloy wheels, kidney grille, M side gills and wing mirrors, which all come in sophisticated Cerium Grey, as well as the new high performance tyres. Interested in a New BMW 8 Series?